April 4, 2017 2:58 pm. The Sydney Cup is one of Australia’s premier long distance races. Raced over the traditional journey of 3200m, the race forms part of Sydney’s prize event – The Championships – and is an open handicap held at Randwick Racecourse. The Sydney Cup has had a storied history with hall of famers eteched on the honour board across its 150 year history. 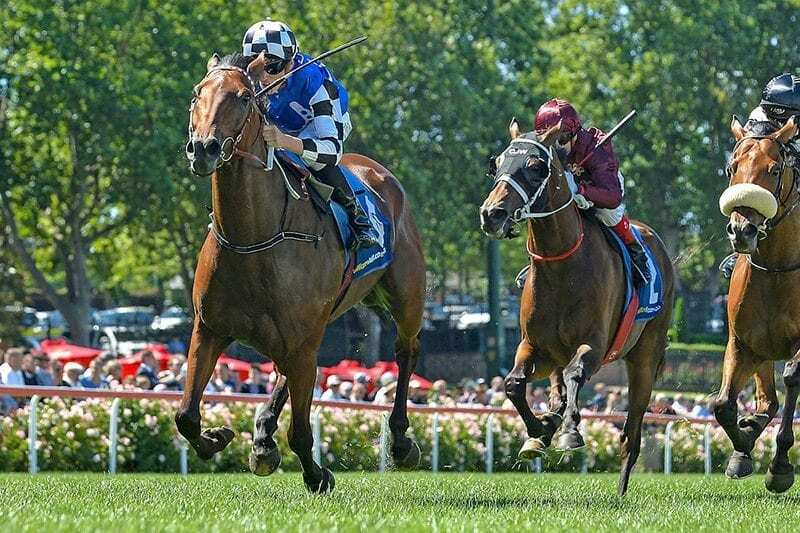 Tie The Knot, who is one of two horses to have won it as a three year old, Makybe Diva (2004) and the legendary Kingston Town are among those who have claimed the cup. Big Duke is one of only three runners in single figures ahead of the Sydney Cup. Lightly raced Godolphin import Dubhe is the white-hot $3 favourite at online bookmaker BetEasy to win this year’s Sydney Cup. Midterm is the next-best in the market at ($7) while Big Duke is the only other runner in single figures at the $9.50 quote. The Sydney Cup is a popular betting race with Australian bookies and every one that offers racing will have markets for this race. Most bookies will have a futures market available on the Sydney Cup well in advance of the race which means if you spot a potential stayer that could win the race, you will be able to find good future odds. The pre-race hype was all about Godophin import Dubhe but it was the outsiders that shined through in the 2019 Sydney Cup. Both Shraaoh and Vengeur Masque elected to sit behind the spend and both of them squared off down the straight when the early leaders wilted. It was the Waller runner on the inside that lifted however, holding out the Irish import, with New Zealand stayer Glory Days running into third. Who Shot Thebarman added a Sydney Cup to its glittering resume as a nine-year-old, winning the Sydney Cup in dramatic fashion. Presenting down the outside late in the race, it did not look like the Kiwi was going to topple long-time leader Zacada, but the old boy nailed it on the line in a photo finish. A two part race with the original being run on April 8, before eventually being called a no-race when Almoonqith fatally broke down, while Who Shot Thebarman lost his jockey. Officials made the decision to cancel it but half the remaining jockeys didn’t see the signal and raced the full 3200m. It was then announced it would be re-run on April 22 with supplementary runners allowed to enter. Polarisation won the second running of the race, ahead of Who Shot Thebarman. There was a bit of concern that Gallante would not be able to handle a wide barrier, but Kerrin McEvoy timed a run to perfection to help the $10 shot win the race. It beat home $4 favourite Libran and Grand Marshal ($5.50). Gallante is owned by Lloyd Williams who bought the then four year old to have a tilt at the Melbourne Cup after its successful campaign in the French Derby. It was a masterful staying performance from Grand Marshal and veteran hoop Jim Cassidy with the horse only hitting the front in the final few strides of the race. Hartnell, who was the odds on favourite, made the early running, before Who Shot Thebarman came down the rail to hit the front. But it was Grand Marshal who finished stronger to salute at $41. Who Shot Thebarman $8.50) and Like A Carousel ($151) was further back in third. It was Chris Waller’s second victory in the race after previously winning it with Stand To Gain in 2011. Young Tommy Berry and The Offer were all class as they easily won the 3200m feature. The $3.30 favourite was patiently ridden with Berry settling it towards the back of the field, but got to the outside when the field straightened. It then produced its trademark dash to win by almost four lengths from Opinion, with Sertorius further back in third. Hugh Bowman and owner Lloyd Williams combined with Mourayan to win, with the European import beating home Adelaide Cup winner Norsqui, with Aliyana Tilde finishing third. The 58kg top weight was patiently ridden by Bowman who then produced a well-time run to easily win. The pre-race $2.60 favourite Kelinni ($2.60) was within striking distance at the 700m but battled to make any ground, eventually finishing sixth. Niwot, trained by John Hawkes, was the $4.20 favourite heading into the epic race, but fitness was always a query after an injury plagued career. But after settling midfield, Niwot produced a guts effort to defeat Efficient by half a length, with Once Were Wild further back in third.